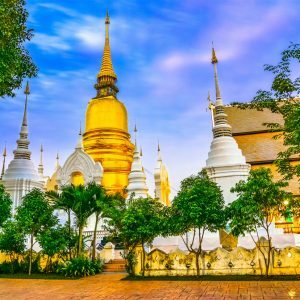 A tour to visit famous temples in Chiang Mai! 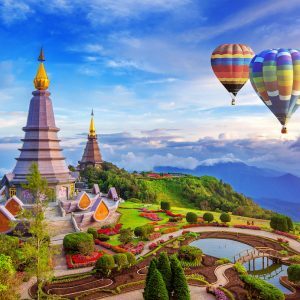 Chiang Mai is a province located in northern part of Thailand, about 700 km away from Bangkok (the capital city). 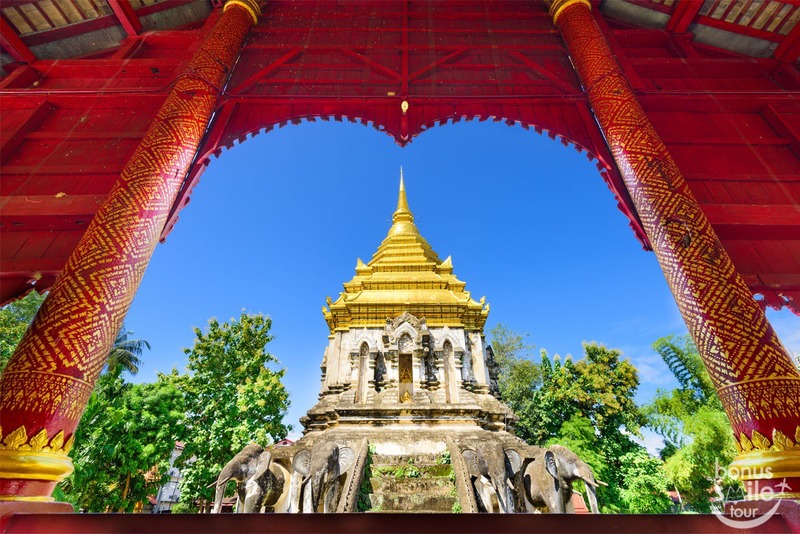 Chiang Mai has a long history, formerly were as the capital of the Lanna Kingdom since 700 years ago. 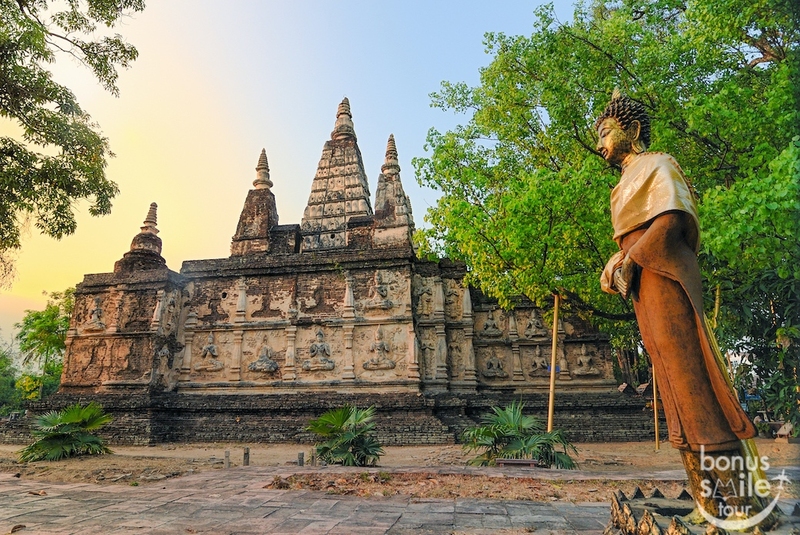 Nowadays, the temples which were built during that prosperous period, there are about 300 temples and ruins still remain. 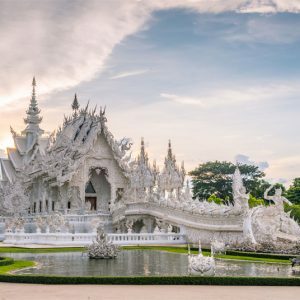 To check them all may be quite difficult so, we gathered only famous and unique ones for you, for example 『Wat Chedi Luang』: a temple with the ruins of a large pagoda, 『Wat Umong』: a temple with the Buddha enshrined in the tunnel and etc. 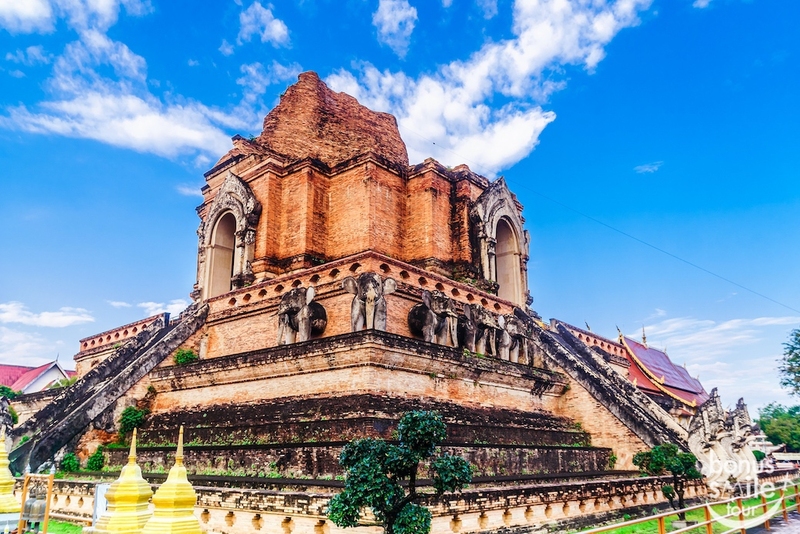 And the ancient lost city in Chiang Mai “Wiang Kum Kam” to enjoy the beauty of culture and learn history with the expert guide. This tour is also the must! 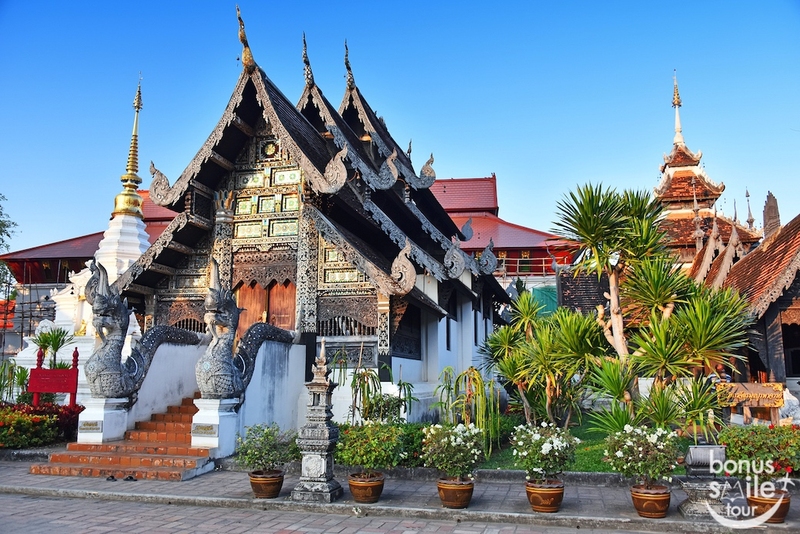 Wat Chiang Man is the oldest temple in Chiang Mai and goes back all the way to the founding of the city in 1296. 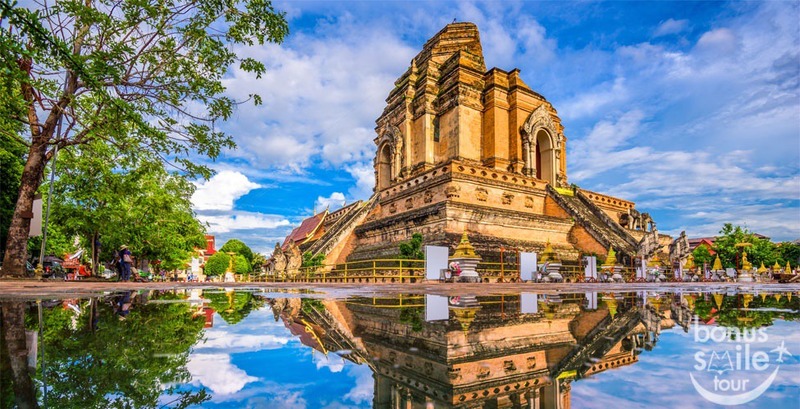 When King Mengrai decided to build a new city and make it the new capital of the Lanna Kingdom, he build the Wat Chiang Man as the first temple of the new city on the site he used to supervise the construction of Chiang Mai. 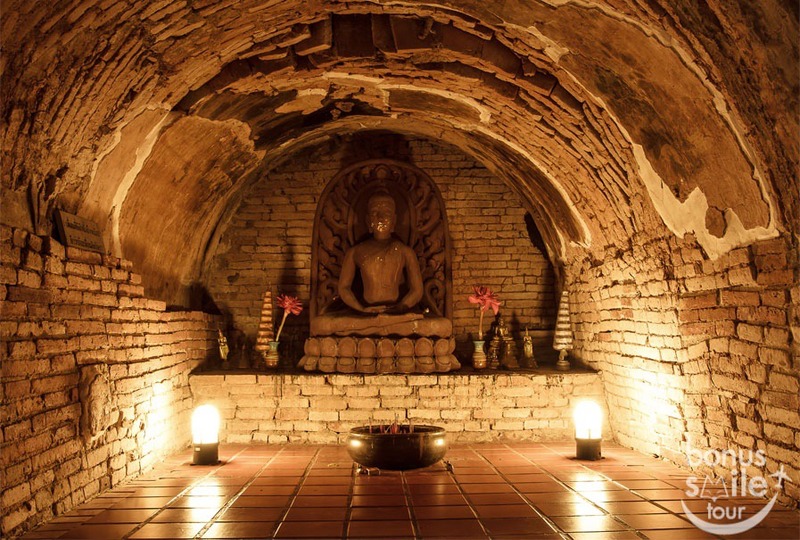 The temple holds several very old and important Buddha images. 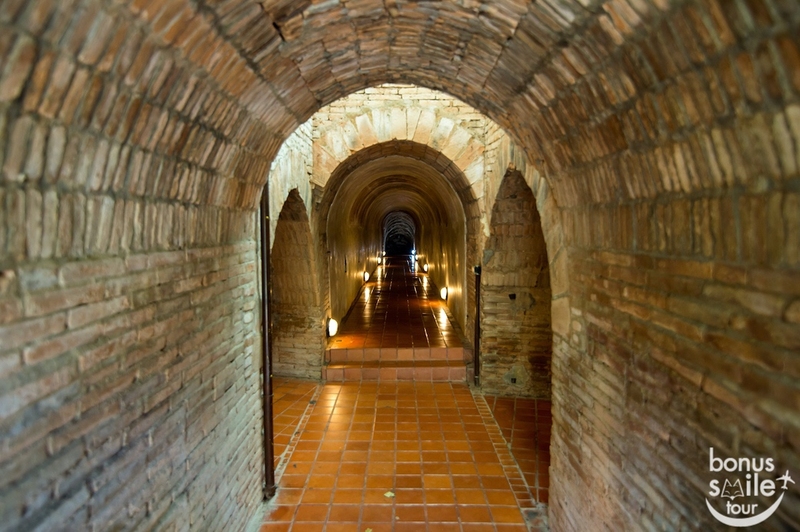 Among the hundreds of Buddhist temples in Chiang Mai, Wat Umong or “Tunnel temple” is unique due to its location in the forest and its system of tunnels. 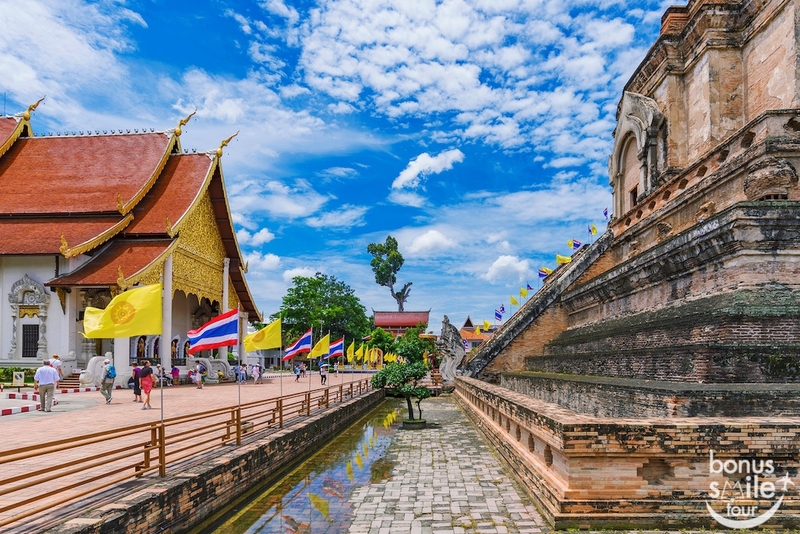 The temple was built in 1297 by King Mengrai of the Lanna Kingdom, located near Doi Suthep mountain. 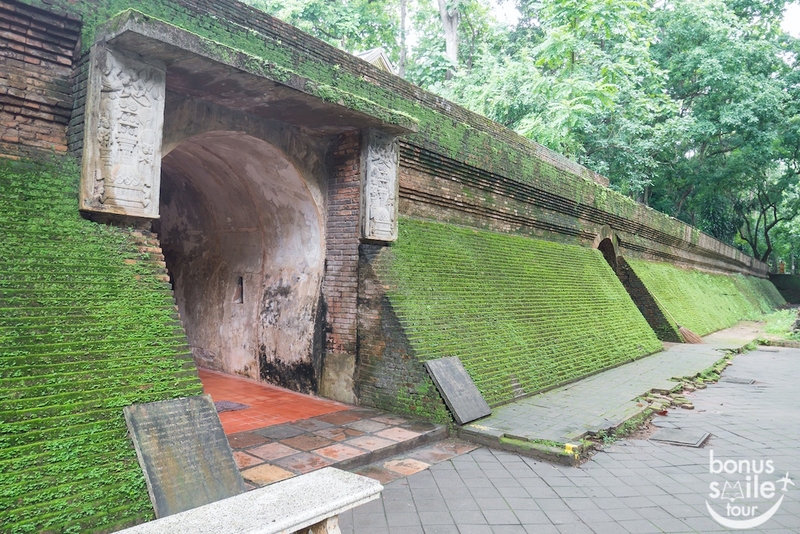 A number of tunnels dug out of a mound contains shrines with Buddha images, where devotees can pay their respect to the Buddha. 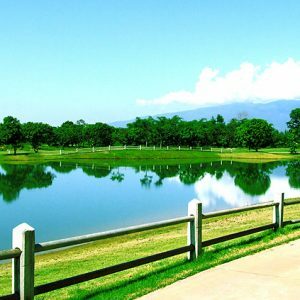 And it is an excellent place for meditation. 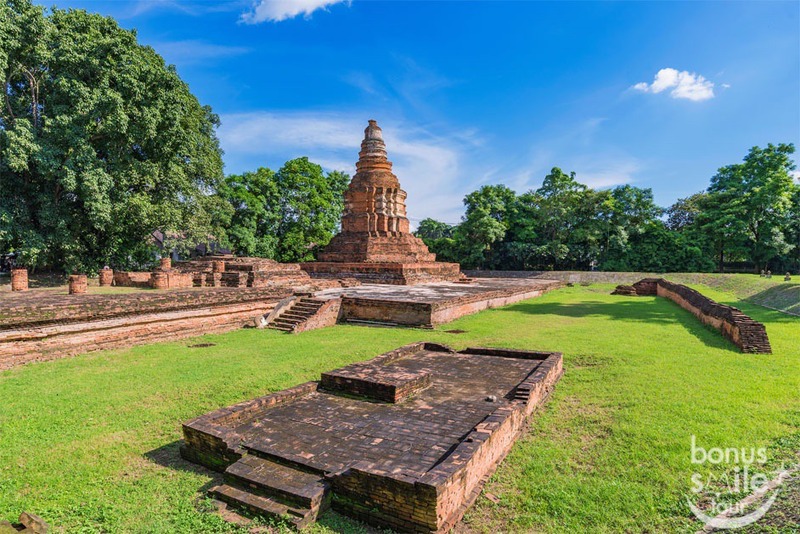 Wiang Kum Kam is an historic settlement and archaeological site along the Ping River, which was built by King Mengrai as the capital city. 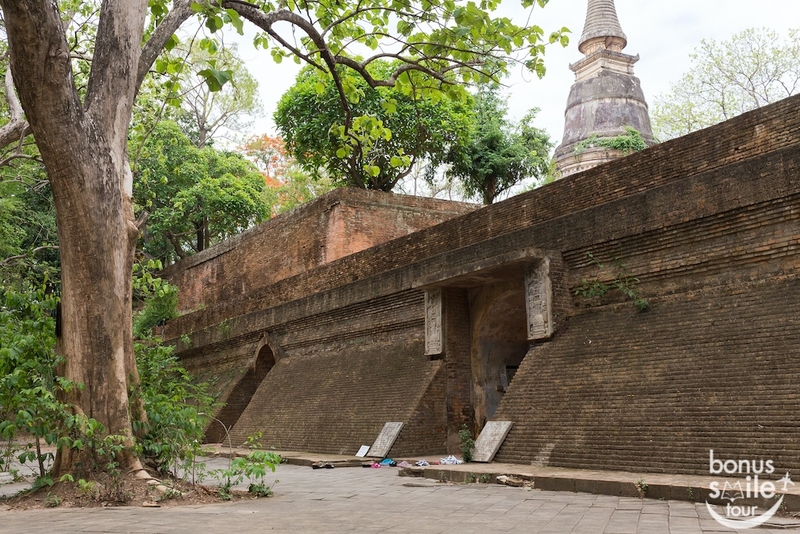 But the city was abandoned in the 16th century due to several times of flooding, the city was completely submerged under the Ping River, which suddenly changed its course and swept the whole city under. The ancient town was rediscovered by chance when local people dug up ancient votive tablets buried in the ground.